First grade is a crucial age to begin to develop reading strategies independently. 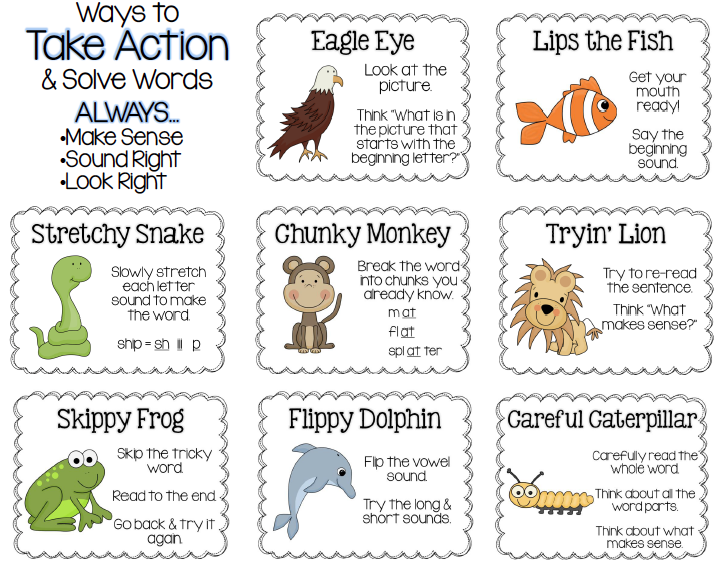 In our classroom, we will use these eight strategies below to help students sound words out when they are stuck. Please remind students that guessing is not a strategy!